The greatest challenge to both forest elephants and savannah elephants today is illegal killing to feed the ivory trade. Between 2010 and 2012 alone, some 100,000 were poached across the continent. In some parts of Africa, habitat loss, fragmentation, and degradation are also threats, as is human­-elephant conflict. A world where people and ecologically functioning populations of wild African elephants can co-exist and thrive across the elephants' range. 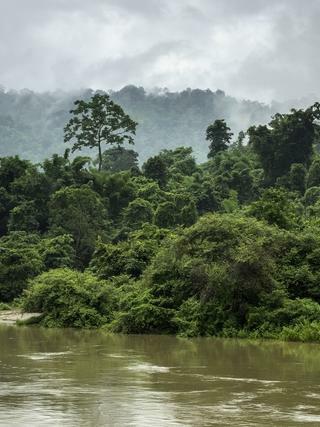 Protecting elephants and their habitat. Building capacity in range states. Conducting research on elephants to help inform conservation strategies. Monitoring elephant numbers, population trends, and threats to elephants and their habitat. 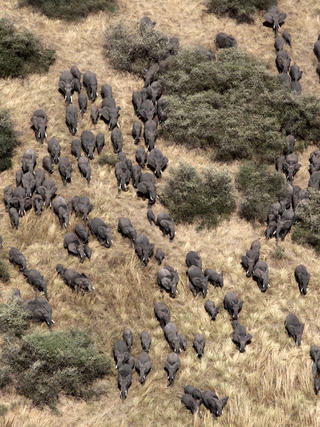 WCS sites and landscapes cover 28% of the African forest elephant population. 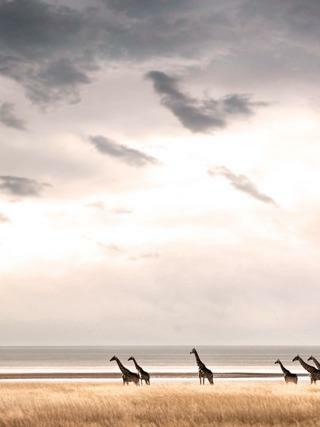 WCS sites and landscapes cover 14% of the African savannah elephant population. We support rangers and help government agencies better manage rangers' patrols using SMART (the Spatial Monitoring and Reporting Tool). 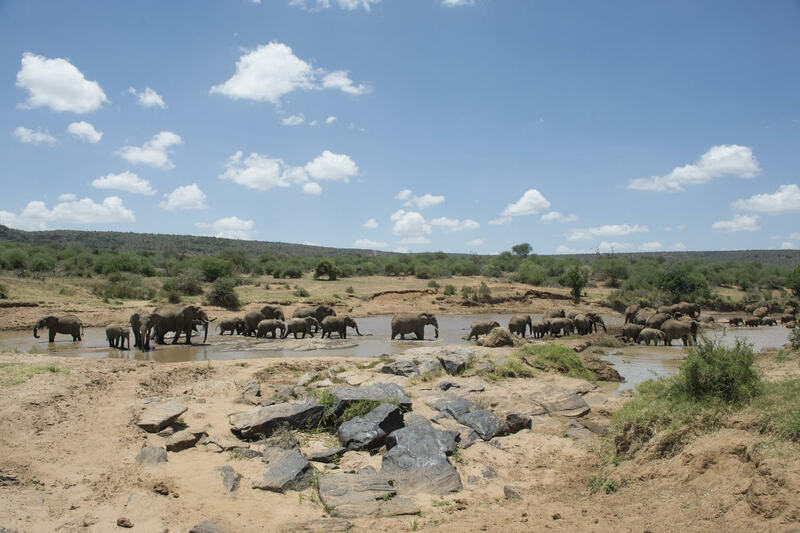 In addition, WCS helps protect elephants at key sites through the use of intelligence networks and aerial surveillance. 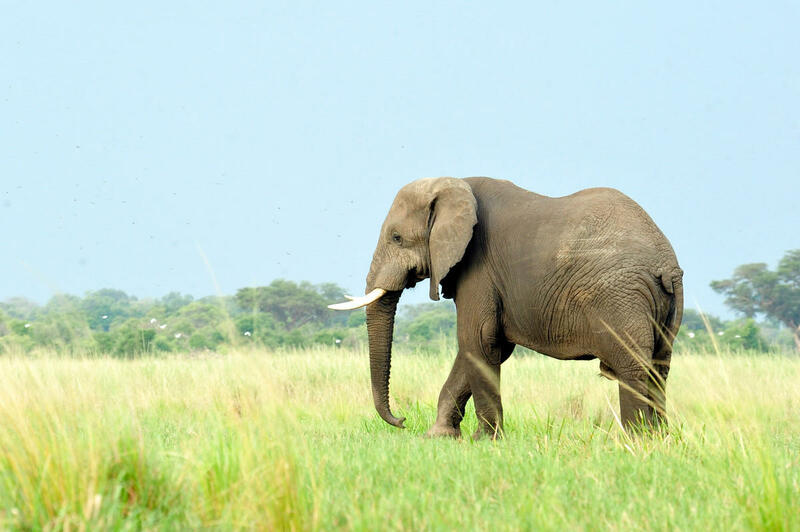 WCS has helped or is currently helping develop and implement National Elephant Action Plans and Strategies with a number of countries, including Gabon, Kenya, Malawi, Mozambique, Republic of Congo, Tanzania, and Uganda. For decades, WCS has helped to strengthen and secure elephant strongholds throughout the Congo Basin. In areas where WCS has supported ranger patrols with our SMART program, elephants are seven times more abundant when compared to unpatrolled forest areas. While elephants in many parts of Africa continue to be slaughtered by well-armed, criminal gangs of ivory poachers, elephant populations in the Republic of Congo are stable in all areas managed by WCS. WCS works in 12 of the 37 African elephant range states. For African savannah elephants, WCS is a key partner in the Great Elephant Census, a Paul G. Allen Project, leading the counts in 11 countries, including Mozambique, Uganda, and South Sudan.